Hypnosis is a natural state between being asleep and awake. It is usually a very pleasant and relaxing experience. 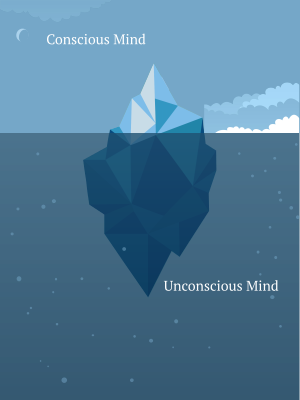 The human mind can be compared to an iceberg: the tip of the iceberg is the conscious mind and the larger invisible part beneath the sea is the unconscious mind.